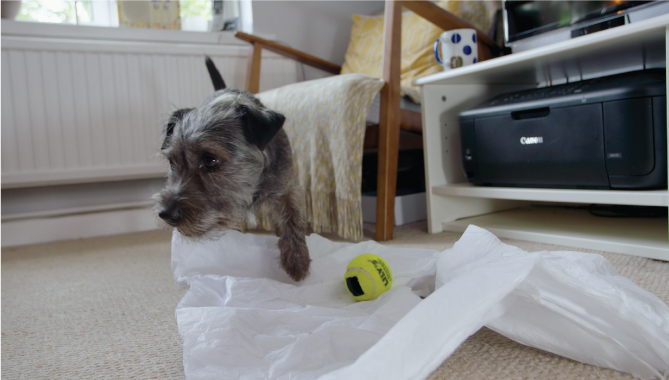 In Episode 3, Pretzel – an enthusiastic Staffordshire Bull Terrier with heaps of bounce - learns how to focus, with the help of this easy lesson. This game is perfect for helping very boisterous dogs to channel their energy and attention on something. It’s a good way to help them use their brain and also tire them out in a way that’s not just running around. They may struggle with the challenge initially, but once they learn it, the results are a joy to watch. 1. Start by having your dog ‘sit and wait’. You can learn these skills with Episode 1 of Game Time. 2. Lay down a couple of treats in a line in front of your dog so that they have to sniff along in front of them to find them. Ask them to ‘Find it’ – you can learn this skill in Episode 2. 3. The whole point is that initially your dog will be using their eyes to look for the treat and then they’ll need to use their nose to eventually sniff them out and focus to find them. Praise your dog when they pick up and eat the treats. 4. Now to make the game a bit more difficult. Where the trail may have been in a straight line before, make it wavier. Perhaps the trail could weave along a path, off to the side into to the grass slightly and then back on to the path again. Encourage your dog to ‘Find it’ and see if they can do this. 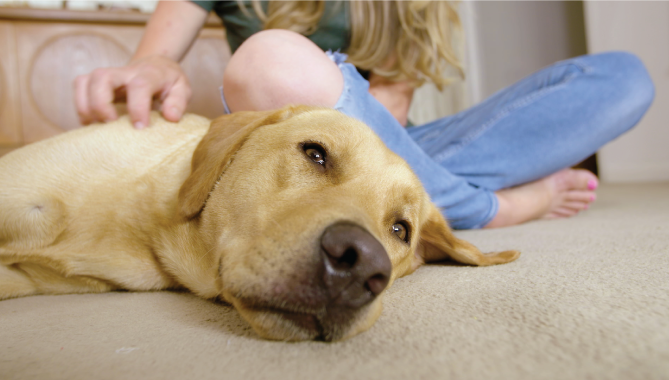 It’s a task that can really help to calm dogs and help them to focus. 5. Once you feel your dog has mastered this game, it’s a good idea to start to use treats that are a bit smellier. (You could try a Mini Venison Sausage, cut up into tiny pieces.) Laying trails in grass will make it harder for your dog to find them. 7. 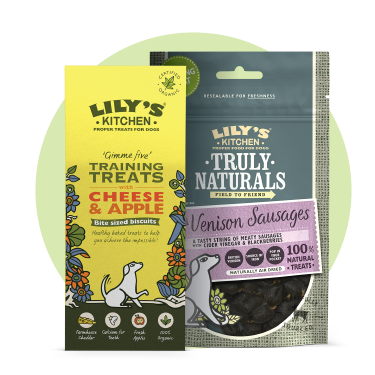 For the ultimate game, once your dog is ready, you can try throwing a bigger treat – like a whole Mini Venison Sausage! – further away into longer grass and command your dog to find it. And give them plenty of praise when they do! Louise used a handful of our Cheese & Apple Training Treats or this training game. 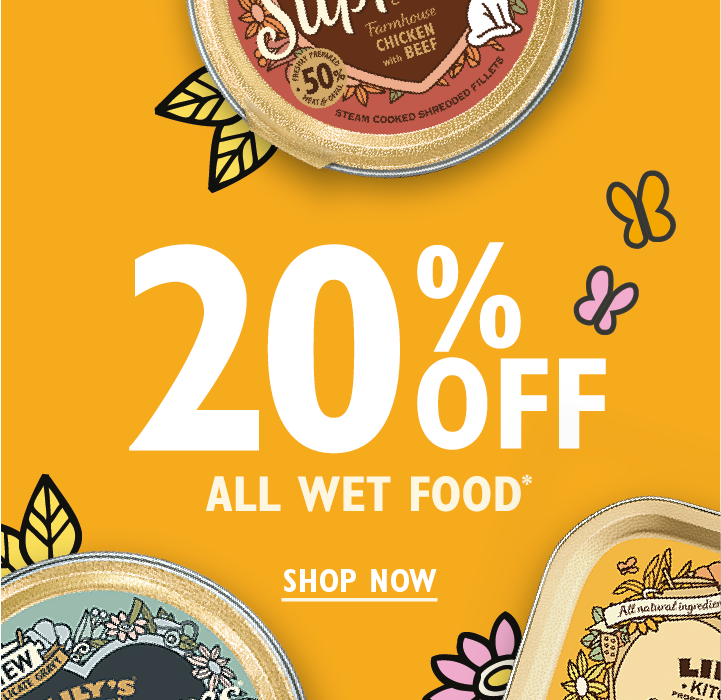 And our Truly Naturals Mini Venison Sausages for an extra high value reward towards the end. 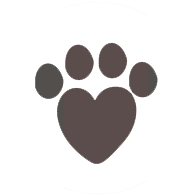 This series of short videos is here to help you develop your relationship with your dog using fun and simple games. Spending time together with your dog, playing games and giving them fun tasks is a great way to become closer and strengthen your bond. 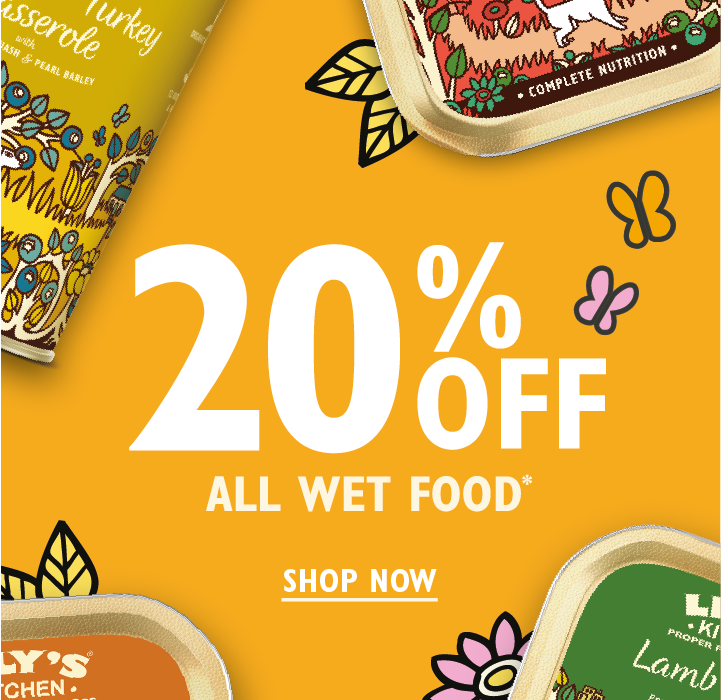 It’s also brilliant for your dog’s mental stimulation, helping to focus their energy so that you can encourage and reward positive behaviour. 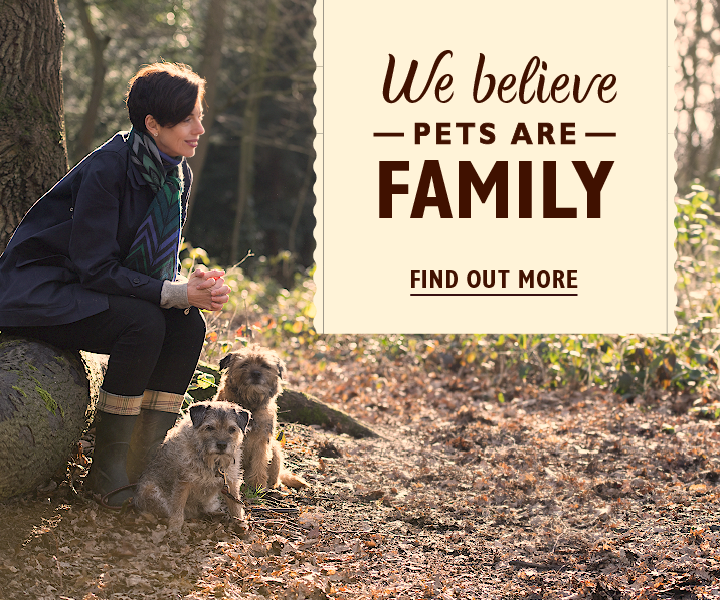 Louise Glazebrook is a popular Dog Behaviourist and Trainer in the UK. She’s featured on prime-time television in the UK, on shows such as ‘10 Puppies and Us’, and has written for various news and media outlets, such as The Telegraph. Want to share your Game Time adventures with us? 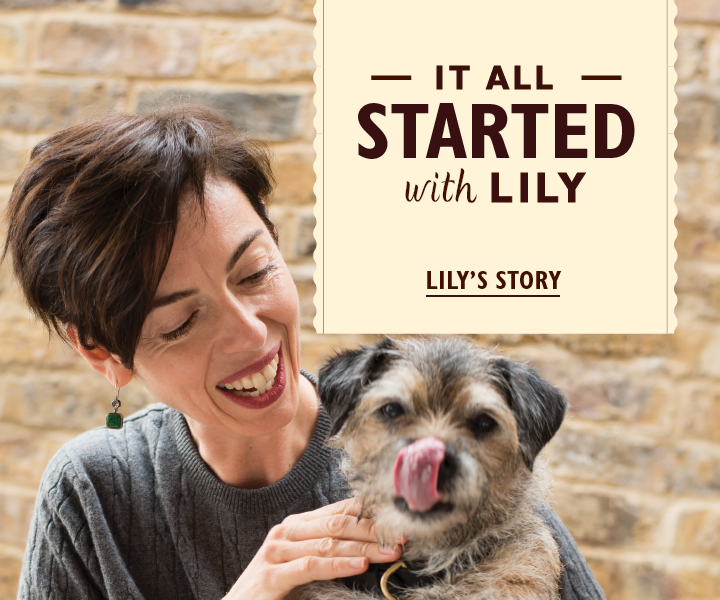 Use #lilyskitchen - we can't wait to see you and your pooch learn some new tricks. 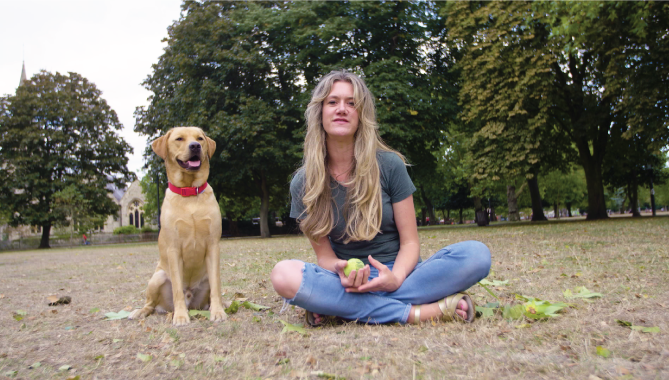 In Episode 1, Ludo learns to sit and wait in his local park, with the help of a simple and rewarding lesson. Ludo learns the command 'find it' at home and discovers just how much fun this can be! Pepe is kept busy and able to destroy something other than the furniture with this simple game.